Seating is limited. Preregistration and payment required. 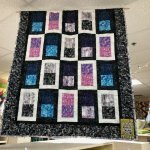 A beginning class for those who are interested in learning the techniques of making a quilt. Let's put all of these fat quarters to good use in making this bag. 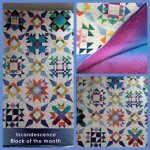 This is an amazing quilt of blocks! Do you need some uninterrupted time to complete those unfinished projects?